Last week, as part of the Halifax Media Co-op’s Young Journalists Program, people aged 16 to 31 in the Kitpu Youth Project interviewed each other about their wishes for the future of St. Pat’s-Alexandra. Their answers are reflected in this article. 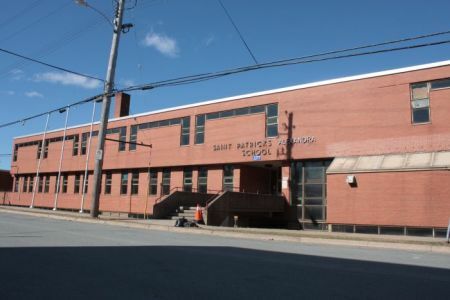 People aged 16 to 31 in the Kitpu Youth Program want the city to hand over the former St. Pat’s-Alexandra school to the surrounding community. The young people in the Mi’kmaq Native Friendship Centre-run program are planning to attend a city consultation Wednesday at 6:30 p.m. that will help decide the future of St. Pat’s. The group says they will rally at the event with signs encouraging the city to gift the building to three community groups, including the Mi’kmaq Native Friendship Centre. The 31-year-old said the last thing he would want to see on the property is gentrification in the form of new condos. “Condos may provide financial benefit, but it also creates a classist divide,” he said. The school closed in 2009 and the city acquired the building in 2011. When HRM requested proposals, three non-profit groups one block away from the former school submitted proposals for the property. City council voted to sell the property to JONO Developments, a for-profit development group that planned to build mixed-use residential and commercial towers on the property. However, the three non-profit groups—the Mi’kmaq Native Friendship Centre, the North End Community Health Centre and the Richard Preston Centre for Excellence—took the city to court alleging the HRM did not follow its own procedure for the sale of surplus schools. 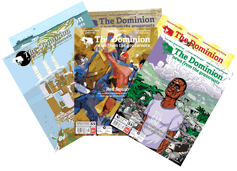 The Supreme Court of Nova Scotia ruled in favour of the three groups, and said the city had to re-do the process. The city-run consultation Wednesday, June 26, is an attempt to remedy the situation. The three groups have been working hard on another proposal for the property, and after the consultation is over, they will have another chance to bid on it. HRM has advertised the consultation, which takes place at 6:30 p.m. at the North Branch Library. Those who aren’t able to attend can fill out a survey. Born and raised in the north end, Terrance Tolbart said the school should be turned into a recreation centre. “Don’t waste resources by tearing it down,” the 17-year-old said. “It should be given to the community for them to make the decision,” he said, noting that his friends once attended the school. Miranda Frison, 17, used to live in the north end and once took a pottery class at St. Pat’s on a school field trip. The building should be “made into something that will benefit the community as a whole, such as how it used to be a community school,” she said. She said the worst-case scenario for the property would be if it were turned into condos, or something that didn’t benefit the community. Ifari Fraser, 16, lives near St. Pat’s and attended a business camp one summer at the school. He thinks the building should be donated to a youth group, or rented to organizations that benefit the community. Lauren Oliver has lived in the north end on and off for years. The 22-year-old said her friends went to school at St. Pat’s, and she can see how much the neighbourhood cares about the school. Kitpu Youth Coordinator Jessica Chisholm uses and works at the Mi’kmaq Native Friendship Centre, and has lived in the community since she was seven years old. Funded by the Dalhousie Student Union, the Kitpu Young Journalists Program gives Nova Scotia’s next generation of grassroots journalists the tools they need to tell stories from a community perspective.